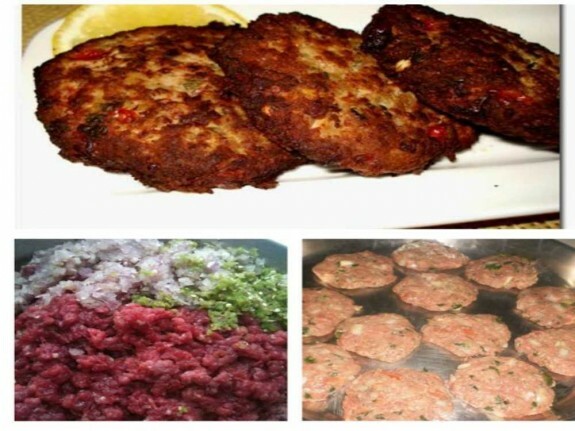 Taru Kabab – A delicacy from suburbs of Peshawar. 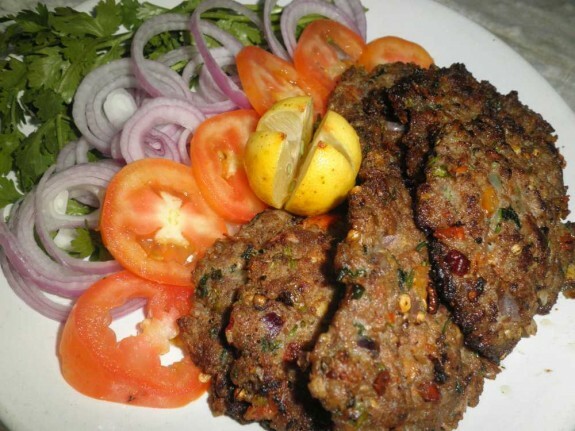 Chapli Kababs are famous through out Pakistan particularly Khyber Pakhtoonkhwa and Tribal areas. Don’t forget to rate our recipe. Just add all ingredients all together then leave it to rest for 40-60 minutes in refrigerator. Now heat the oil in deep pan and take handful of mixture make a ball shape then press to make it flat like tikki and carefully fry them in oil turning few times. Take kababs out when golden and serve hot.